Find out about what we do and who we work with in the Kirklees area to secure the safety and future existence of one of this country’s most iconic mammals. • To encourage the understanding and study of badgers. • To promote measures which will enhance their welfare. • To encourage tolerance, appreciation and respect for all wildlife and their habitat. We are members of the Badger Trust, which represents us at national level and is a central organisation for information and research. 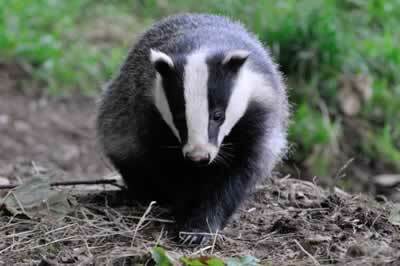 Why do badgers need protecting in Kirklees? • Kirklees Metropolitan Council, with whom we have close links in connection with planning and forestry work. Additionally, we have a good working relationship with landowners in the area. Local quarry owners have in particular benefited from our advice and expertise. Our most important work involves protecting existing setts and building artificial setts where necessary (for example, in order to relocate badgers from residential developments). We record the location of, and monitor, as many setts as possible. Monitors visit a particular sett regularly and records the findings. These records may be used by the police in the event of a prosecution for interfering with the sett or harming badgers. We are available to assist in the event of an injured badger being discovered, though sadly few animals survive a road traffic accident. We try to pick up fatally injured badgers from roadsides, and keep records of those discovered. Rescued live badgers are taken to the nearest available rescue centre for rehabilitation and hopefully release back into the wild. 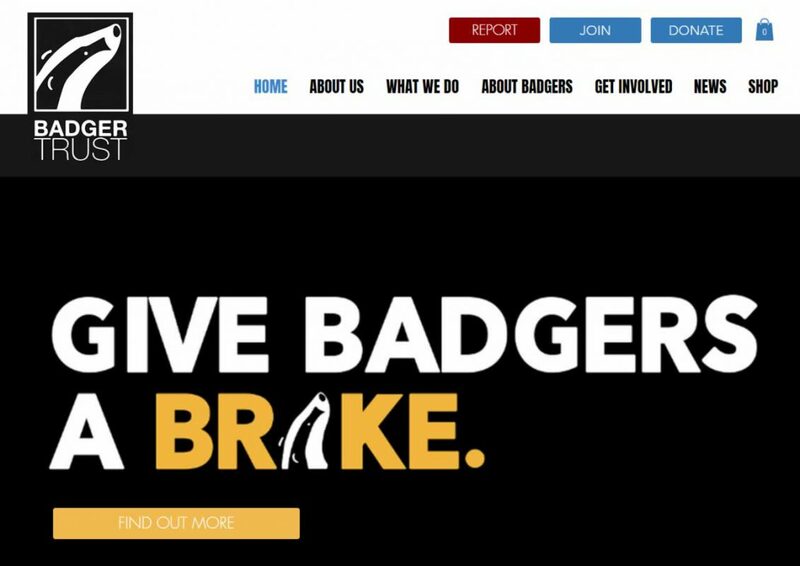 Alongside the practical aspects of our work, we publicise the threats to the badger, both local and national and inform the general public about badgers. We are always delighted to have new members, either those who want to be actively involved with the group, or those who simply wish to receive our newsletter and keep updated on local and national issues. Membership costs £15 per year but we would be happy to hear from anybody who wishes to be actively involved, even if the membership fee is a problem. including many active sett monitors, and a small but dedicated group who take on all kinds of projects large and small. Meetings are attended by a small number of members, but we are keen to see more friends in person whenever possible. If you would like to join us, or find out more, please complete this simple form. 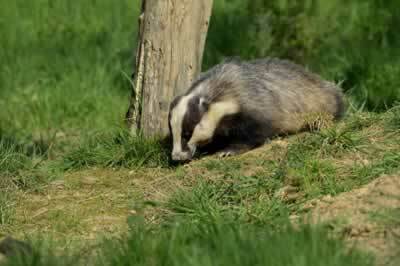 Learn all about Badgers, how they live, the threats they face and their relationship with Bovine TB. It is important that we receive all notifications of dead or injured Badgers as quickly as possible. Keep up with latest news about our group and Badgers in general. Includes the latest posts from our blog and our Facebook page. View photographs of Badgers taken by our members whilst keeping watch on setts in the Kirklees area . 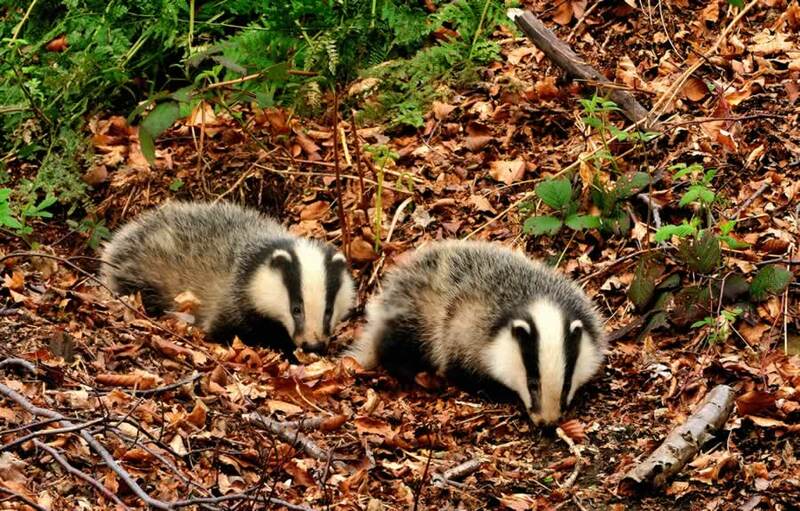 The Badger Trust exists to promote and enhance the welfare, conservation and protection of badgers, their setts, and their habitats for the public benefit. 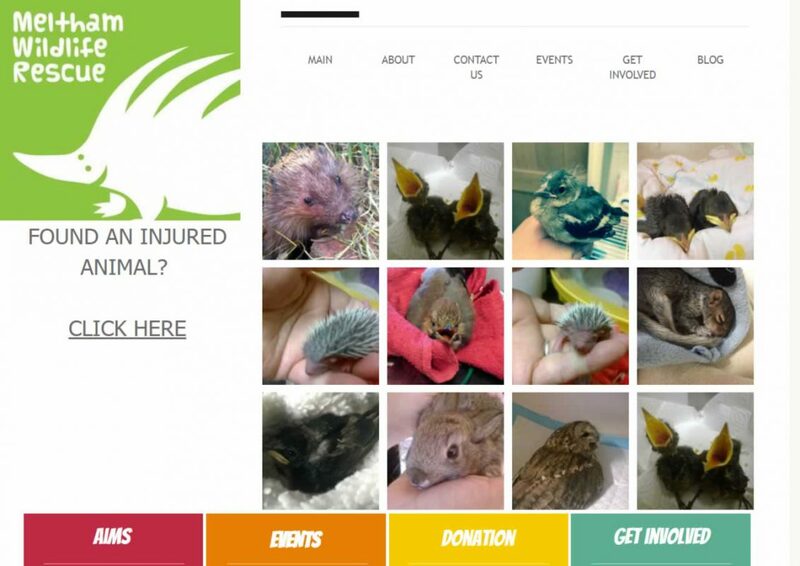 Meltham Wildlife Rescue was set up to promote the advancement of British wildlife welfare by providing first aid and rehabilitation to injured, sick and orphaned wildlife. 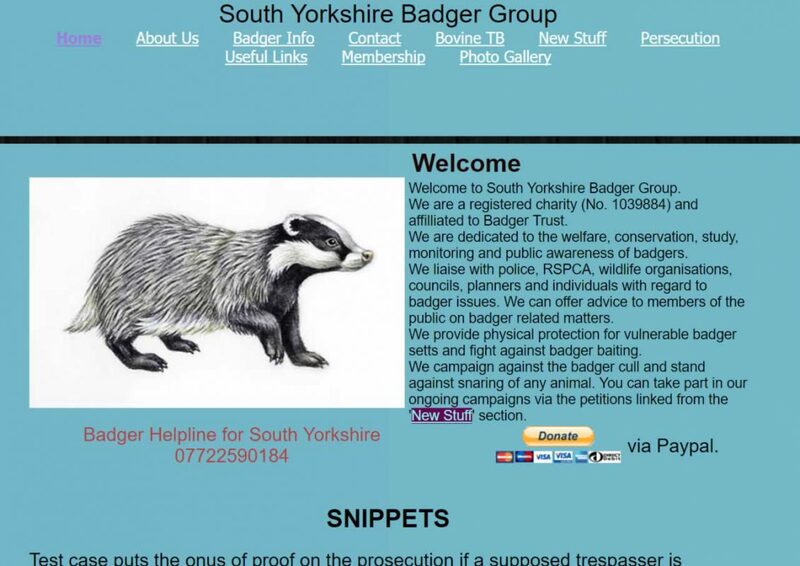 South Yorkshire Badger Group are dedicated to the welfare, conservation, study, monitoring and public awareness of badgers in South Yorkshire. 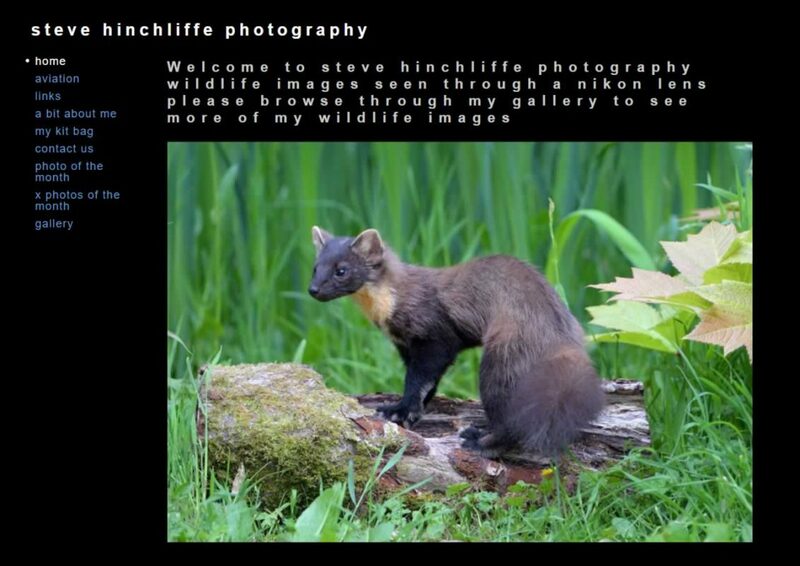 Steve Hinchliffe Photography specialises in wildlife photography and has kindly provided the images of Badgers used within the construction of this website.